I think we can all agree that it's been a good Summer weather-wise here in Portugal. Sunny afternoons, warm evenings - you couldn't ask for it to be better really. We all know Portugal is wine country, but lets face the facts, when it comes to the lazy days of summer, nothing goes down better then beer. In Portugal beer is also known by two other names: Sagres or Superbock, the two beers that pretty much monopolise the Portuguese beer market. Now I admit to being a big fan of Sagres Bohemia, a great amber gourmet beer it is. But with Portugal not being a beer country, if you want greater selection you have to head towards the imported beer section at you local supermarket. Once there, you'll be lucky to find more than your Carlsbergs, Heinekens or Bubweisers. Now where I grew up in Canada (Prince George, B.C. ), the local brewery is the Pacific Western Brewing Co. Although it has expanded, as far as beers and beer varieties are concerned, back in the 80's Pacific Western Brewing was known as the brewery that produced Beer beer. That's right, a beer simply know as Beer (check the stubby bottle to the right). It's safe to say that Canada's better beer days were still to come. In Canada we also have our versions of Sagres and Superbock, better known as Molsons and Labatts. But what's great about beer, or should I say beer culture, in Canada ar e the microbreweries and all their varieties. During the 1980's and, above all, the 90's, when the microbrewery boom happened in Canada, my favourites became the B.C. 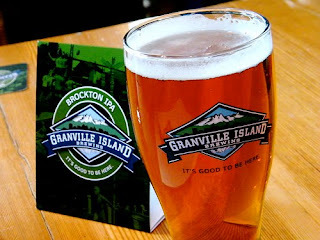 brews produced by such microbreweries as the Okanagan Spring Brewe ry, Granville Island Brewing, Shaftesbury Brewing, Whistler Brewing Co., Vancouver Island Brewing Co., among others. Everything from the pale ales, to porters, to stouts, to hefeweizens, to the more exotic flavours of fruit beers and even a flavour that could only be Canadian, my favourite, the maple cream ale. Ofcourse, outside B.C. other breweries across Canada are equally worthy of mention for there great brews, ranging from Alley Kat Brewing (Edmonton), Wild Rose Brewery(Calgary), Great Lakes Brewery (Etobicoke, Ont. 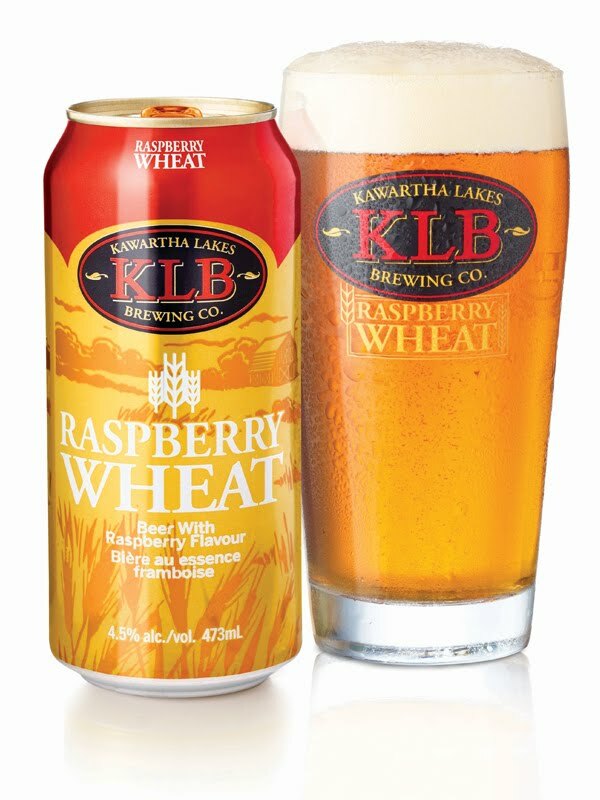 ), Kawarth a Lakes Brewing (Peterborough, Ont. ), La Barberie (Quebec City), Propeller Brewing Co. (Halifax), Yukon Brewing Co. (Whitehorse) just to name a few. Last year I spent five weeks in Toronto, Ottawa and Montreal where I got to sample new beers (at least for me). 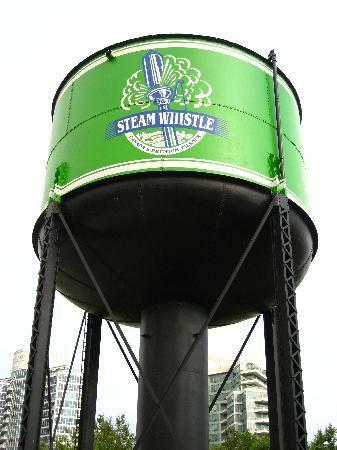 Among them was the Steam Whistle Pilsner from the Steam Whistle Brewing Co. The Steam Whistle Brewery, located at the historic John St. Roundhouse, a former Canadian Pacific Rail steam locomotive repair facility, has become a major part of the Toronto skyline, sitting adjacent to the CN Tower and Rogers Centre. The brewery is today a top tourist attraction in Toronto. On the day I visited the Steam Whistle, besides sampling a new brew, I also got around to sampling an old favourite. In a pub on College St., right in the heart of Toronto, I found a pub serving up Okanagan Pale Ale - as good as always. And now, as I sit here in Lisbon writing this, I'm thinking maybe one of my favourite (new or old) breweries back in Canada will read this and send me a six- pack or two, just like that Tim Hortons commercial where those Canadian university students in Scotland get a gift pack of Tim Hortons coffee after writing them a letter. Wouldn't that be great. Man it's hot right now. Even Beer beer would go down nicely at this moment. A nice cool beer does sound like a good idea, especially with this heat. Have to take advantage before summer ends, T-7 days! I don’t know if I see all of them heart to heart.